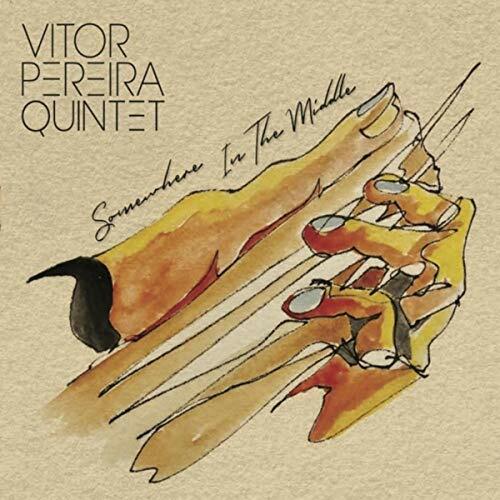 Portuguese native Pereira brings his own unique sensibility to this fine album of originals, the third to be released by his quintet. ‘Lomo’ has a quirky, good-natured persona that charges along like an excitable puppy, powered by rhythmic twin sax riffs and snaking melodies from which Pereira launches into an old-school overdriven solo - it’s actually reminiscent of the 1970s meldings of jazz, rock and other diverse elements conceived by such quintessentially British proggers as Caravan and Hatfield and The North. ‘Alternative Facts’ uses the twin-sax attack to similar effect - there’s an avoidance of any overtly boppish jazz language and a refreshingly original concentration on melody, texture and mood. ‘Refreshments’ has a vaguely latin feel, and a lightheartedness that runs throughout the entire album - all the arrangements give the impression of being carefully plotted, with the solo sections added judiciously to add spice rather than provide the central essence, but there is some very fine soloing as well, in a contemporary Kreisberg-type idiom, and both sax players acquit themselves very well in this unusual setting. ‘Somewhere in The Middle’ introduces some free blowing to the mix, but as throughout it’s all contextualised by the written pieces in this long multi-sectioned piece that’s even more prog-inclined, and none the worse for it. ‘Anima’ has a dark duet between guitar and bass over a rock groove; fans of the early work of German pysch-proggers Kraan might sense a kindred spirit. Mick Coady contributes a nice solo slot to go alongside his solid, sonorous support. ‘Twilight Tales’ is an affecting ballad that takes an unexpected turn, and ‘Tag Along’ is a punchy conclusion. Periera and his cohort have created a truly distinctive record that isn’t quite like anything else on the scene currently; their talent and commitment enable them to pull it off admirably.